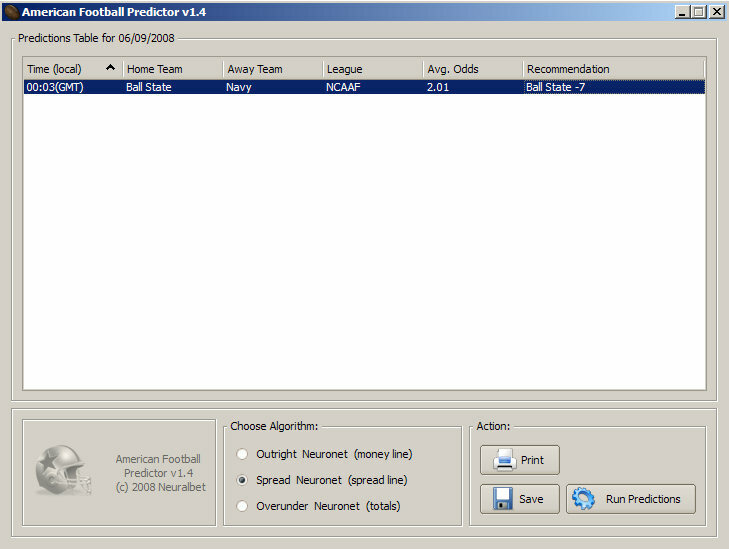 With the help of advanced algorithms based on neural networks this revolutionary software will predict American Football Predictor game results with great accuracy! - Incredibly simple to use! - 100% automatic, no need to enter any data! - Gives you the best recommendations (Outright winner, Spread line or Over/Under) for NFL and NCAAF games ! - Database with 10 years of statistical information! - 100% automatic, no need to enter any data! and no need for a football helmet! - Uses Advanced neural networks with proprietary algorithms! - Gives you the best recommendations (Outright winner, Spread line or Over/Under) for NFL and NCAAF games ! - Win the superbowl with American Football predictor! American Football PredictorSupports: all games of NFL and NCAAF (College Football) leagues, (also pre-season games). American Football Free Screensaver. Photos slideshow. In this screen saver we have a selection of works by American artists . American Idol Free Screensaver. Photos slideshow. Qweas is providing links to American Football Predictor 1.6 as a courtesy, and makes no representations regarding American Football Predictor or any other applications or any information related thereto. Any questions, complaints or claims regarding this application American Football Predictor 1.6 must be directed to the appropriate software vendor. You may click the publisher link of American Football Predictor on the top of this page to get more details about the vendor.